Vulnerability refers to the degree to which people or the things they value are susceptible to, or are unable to cope with, the adverse impacts of climate change. Thus, vulnerability determines how severe the impacts of climate change might be. The concept of resilience is important to understanding adaptive capacity to climate change. Resilience refers to the ability of a human system to withstand contemporary shocks and to anticipate and plan for future shocks. Resilient systems have the ability to learn from past experiences and to use that knowledge when confronting problems. Systems with high adaptive capacity are therefore resilient and able to reconfigure themselves to deal with climate change. Systems with low adaptive capacity are much less resilient and much more vulnerable to climate change. How does the CCVI calculate a score from 1 to 10 in order to determine vulnerability to the impact of climate change? Give examples of countries (and their scores) at both ends of the scale. (p189). What are the similarities and differences between the CCVI and the CRI? Which do you think is the better measure of vulnerability? Why? 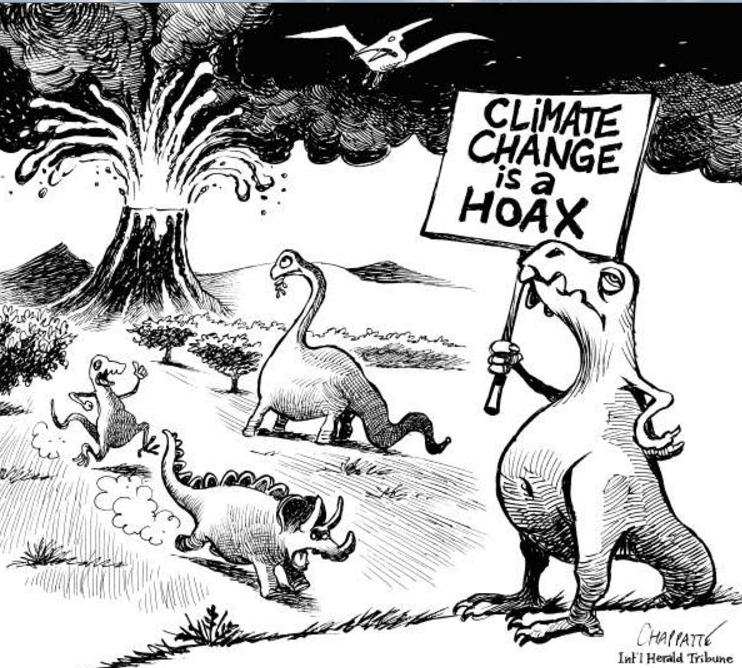 Explain how the climate change controversy influences risk perception. Describe 4 general factors that affect general risk perception. 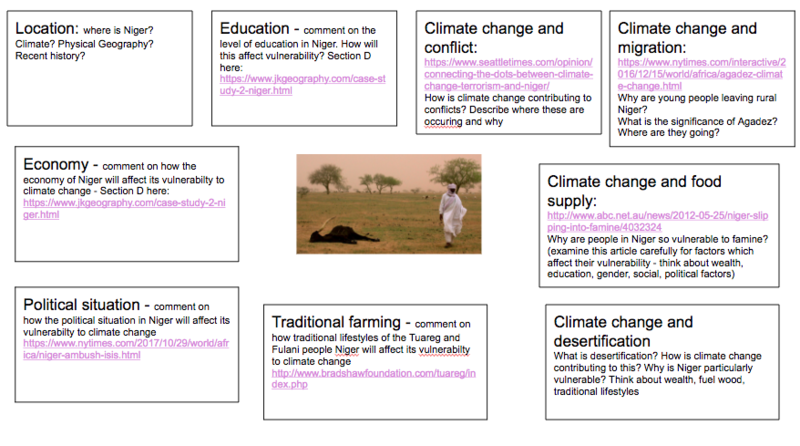 (p198 - also see the RLS in the Geography and TOK section). What is the pattern shown in the CCVI and the CRI? What are the similarities? Why are they different? (refer back to reading). Why are there so many different methodologies for examining the risk to a particular location? 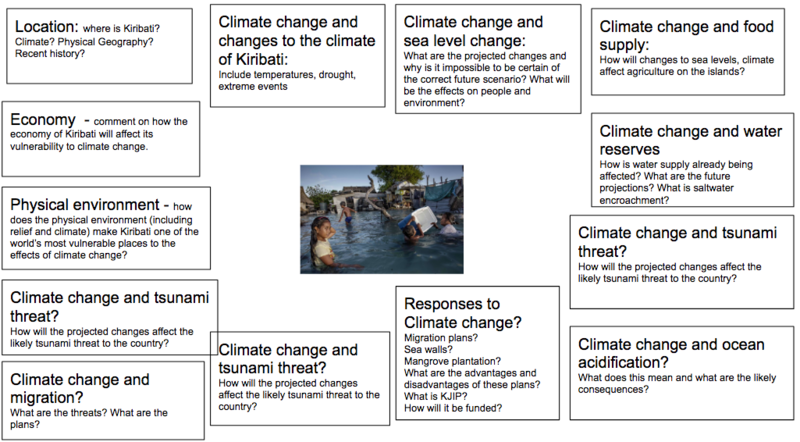 What are the factors that are connected to location which affect the extent to which populations are vulnerable to climate change (SEEP)? What do they all have in common in terms of overall conclusions? 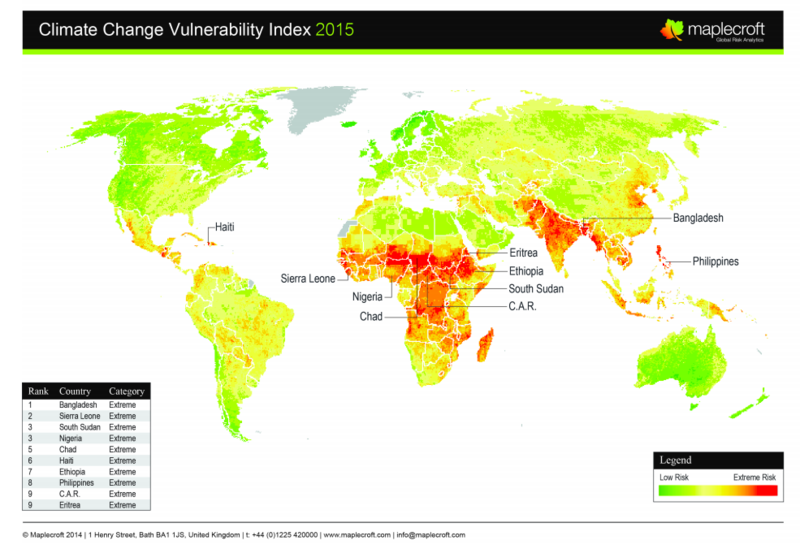 Why are poorer people more vulnerable to climate change? Why are the poorer people more vulnerable within countries? Why are poorer countries more at risk? Why are older people and children more vulnerable to climate change? Why are women more vulnerable than men to the effects of climate change? Do you believe that this is true in High Income Countries as well as Low Income Countries? 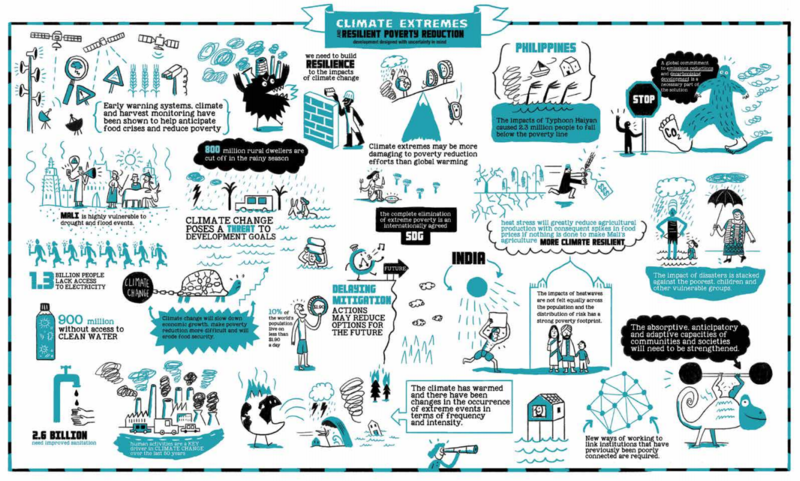 What are the roles of both formal and informal education in affecting how prepared an individual or community will be to the effects of climate change? Why is risk perception important? 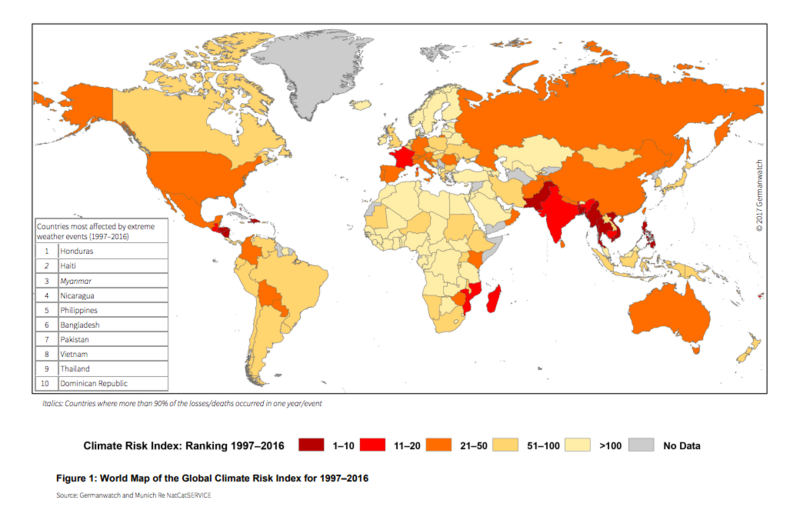 How do you rate your own perception of the risks from climate change? Can you explain this using the factors which affect risk perception? Extent to which person/community is open to changing ideas. Use the textbook for this case study.